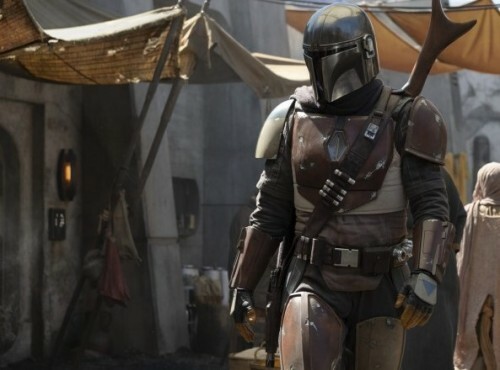 Posted above is our first look at Disney’s upcoming new Star Wars TV series, “The Mandalorian.” Written and produced by Jon Favreau (Iron Man 3), the show follows the adventures of a Mandalorian gunfighter in the outer reaches of the galaxy after the fall of the Empire and before the rise of the First Order. Mandalorians are a multi-species of warriors from the planet Mandalore known for their work as mercenaries and bounty hunters and their distinctively cool armor — the most infamous in the Star Wars universe being Boba Fett. “The Mandalorian” is produced for Disney’s upcoming streaming service and will feature a variety of notable directors, including Taika Waititi (Thor: Rangarok), Rick Famuyiwa (Dope), Deborah Chow (”Better Call Saul”), Jurassic World star Bryce Dallas Howard, and Dave Filoni (”Star Wars: The Clone Wars”), who helms the pilot.